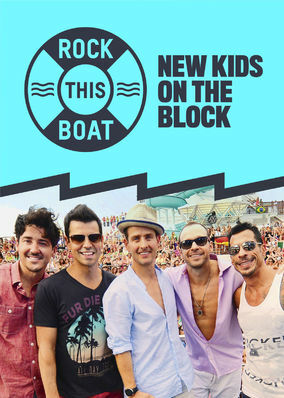 Rock this Boat: New Kids on the Block (2015) on Netflix Canada. Check worldwide Netflix availability! If Rock this Boat: New Kids on the Block isn't available in your country, or you are visiting a country where it isn't, there is still a way to watch it! A select group of die-hard fans board a concert cruise with the popular boy band for a week-long voyage, full of free-spirited fun and music. Thousands of devoted fans and the biggest boy band ever. Put 'em all on a boat and you've got yourself a party!